Do you need some Replacement Mazda Keys? Attend Locksmiths can help if your keys have been Lost or Stolen for your Mazda car. Making keys to your Mazda car when “all keys are lost” is when you need to call a Locksmith. If you have one key and you’re after a duplicate key, most shopping centers have a key cutting shop. There are pro & cons to duplicating a car key by cloning your existing car key on some cars. Not all car keys can be duplicated/cloned from an existing key, this is because the antitheft system recognizes each key & knows if the key is a clone. When cloning a car key, what can happen is one key will work & then in a few weeks when you use the other key it will not work. It’s always best to have the key programmed into the car, the reason why is because the car’s computer has its own storage spot for the keys ID number. Some cars can have up to 8 individual keys programmed into the car, That’s 8 different key ID numbers, which the cars computer can store the information. Major manufacturers like Ford & Mazda & Toyota make the antitheft system capable, for a customer to program in a new remote. 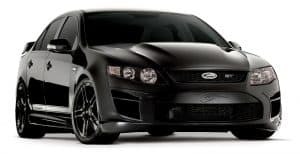 Each model of car has a different procedure, others are the same across many models, like Ford. Best to Google your exact car to get instructions. These Mazda cars below use a very expensive transponder chip in the head of the key & just to make things worse. Making keys to these cars is very difficult as these cars employ a 128bit encryption algorithm. We at Attend Locksmiths have spent A LOT of time on this problem. 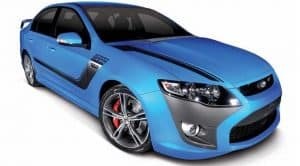 Attend Locksmiths has a unique technique to deal with these difficult cars when other Locksmiths will not touch them. Because we have resolved the problems we can offer a Fixed price to make two keys for $550 total cost to you.